This week on The Last Hurrah, Kevin Cole takes a lesson from Tim Seltzer and Steve Younkins (Q2Q Comics) about defending himself, but when things get out of hand will a webbed hero (Spidey Steve aka. Steve Custer) show up to save the day? 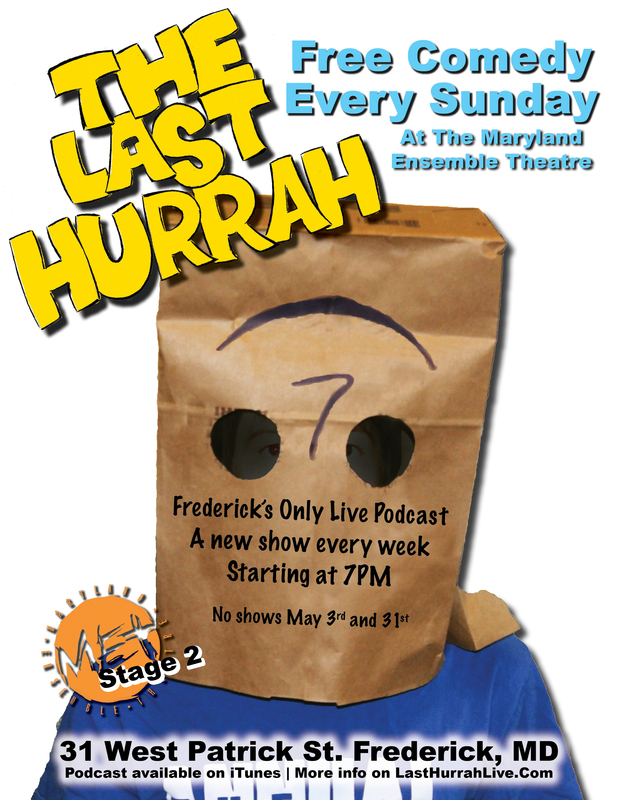 You’ll have to join the fun this Sunday at the Maryland Ensemble Theatre to find out. Featuring a special Stand Up performance from Isabel Duarte!